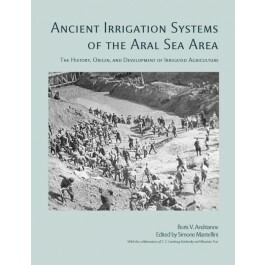 Ancient Irrigation Systems in the Aral Sea Area is the English translation of Boris Vasilevich Andrianov's work, Drevnie orositelnye sistemy priaralya, concerning the study of ancient irrigation systems and the settlement pattern in the historical region of Khorezm, south of the Aral Sea (Uzbekistan). This work holds a special place within the Soviet archaeological school because of the results obtained through a multidisciplinary approach combining aerial survey and fieldwork, surveys, and excavations. This translation has been enriched by the addition of introductions written by several eminent scholars from the region regarding the importance of the Khorezm Archaeological-Ethnographic Expedition and the figure of Boris V. Andrianov and his landmark study almost 50 years after the original publication.